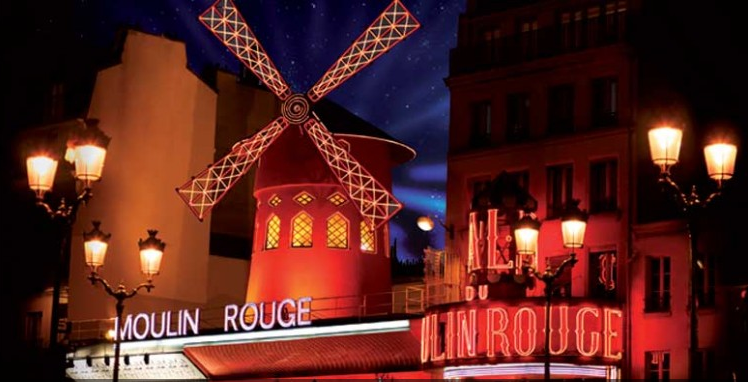 The Moulin Rouge opened in 1899, at the beginning of a new century and amid the atmosphere of excitement and progress that had been engendered by the construction of the ground-breaking Eiffel Tower in the same year. Since its debut performances the Moulin Rouge has hosted and created stars from the worlds of music hall, dance and singing. In its formative years the theatre was defined by the personalities on its stage, from Queen of the Can-Can and Toulouse-Lautrec’s muse La Goulue, to the creator of music hall Mistinguett renowned artists have performed at the theatre including Ginger Rogers, Lauren Bacall, Ray Charles, Ella Fitzgerald, Juliette Binoche and Elton John. The Moulin Rouge's new show,”Féerie", continues the tradition. Enjoy 2 hours of an amazing show, 60 artists on stage, feathers, rhinestones, sequins, and luxurious sets. Choose between the sit-down dinner and just the show with Champagne, This is a night in Paris no to forget!